If you’re a coffee fan, coffee is a daily ritual. You’re drawn to quiet morning cups, comfortable coffee shops, productive meetings over steaming cups, and crisp iced coffees on hot summer days. But for too many of us, our coffee fandom does not come with many choices. We simply grab a bag off the grocery store shelf, or ask for a cup at our favorite coffee chain, rarely thinking about the different ways in which coffee can be grown and prepared. So let’s change that: let’s learn more about what makes different types of coffee unique, and take a taste tour through all of our many options. Here’s how you can discover your favorite coffee. 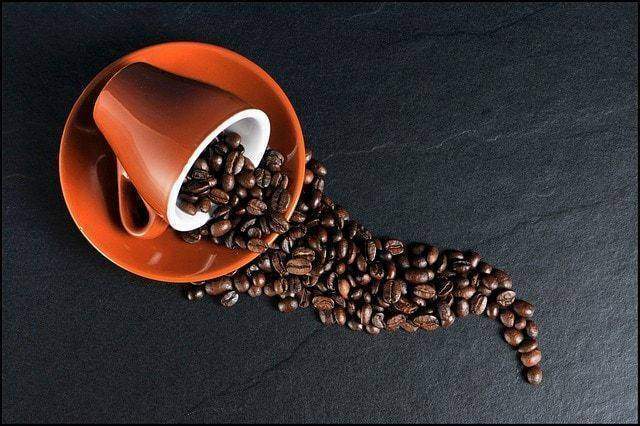 Coffee starts with coffee beans, which are grown all over the world. They are prepared in different ways and then roasted to different “darknesses”, all before they end up flavoring your favorite coffee beverages. Become a student of coffee beans. Learn more about the different types of coffee, and particularly about the different ways of preparing coffee beans for roasting and brewing. Did you know that some coffee-growing regions are known for washing their beans, while others skip that step? At least as important as knowing the difference between various varieties of coffee beans is understanding roasting. Coffee beans are roasted before they become a part of your drink, and how long they are kept roasting plays a huge part in determining the flavor of your drink. A bean that’s roasted longer and more thoroughly grows darker (these are the coffee beans that become “dark” roasts, of course), and the coffee drinks that they create retain more of the flavor of the roast, and less of the flavor of the original bean. Dark roasts tend to be more bitter than light roasts. Different types of beans and roasts can create very different types of coffee drinks, but your options for changing the flavor of your beverage don’t end there. You can and should enjoy a fresher coffee by grinding your own beans, and the fineness to which you grind them will change the nature of your coffee. On top of that, you can opt for different brewing methods to try different flavors within the same type of coffee. So switch things up. Try a French press instead of drip coffee, or attempt to cold brew coffee. Cold brews can have a stronger and more bitter taste than other types of brewing, and different brewing methods yield different complex flavors. You can learn a lot about different types of coffee beans, different types of roasts, and different ways of preparing a great cup of coffee. But you don’t have to become a coffee scholar to try different things and track down your ideal cup of joe. While knowing a little bit about the basics will help you direct your search, the best way to find your favorites is to keep trying new kinds of coffee. Consider getting a coffee subscription box mailed to you regularly. By subscribing to a great coffee provider, you can get top-notch coffee on a convenient delivery schedule. This makes it easy to try different types of coffee and roasts. You can also follow recommendations from your friends, local coffee shop staff, and dedicated coffee fans that you find online. Don’t sweat the details: just keep trying a wide variety of coffee until you find the stuff that really speaks to you.